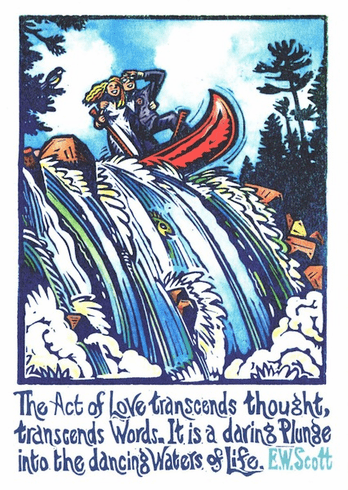 Outside: The act of Love transcends thought, transcends Words. it is a daring Plnge into the dancing Waters of Life. - E.W. Scott. Artist: Rick Allen. Measures: 5 x 7 Inches.